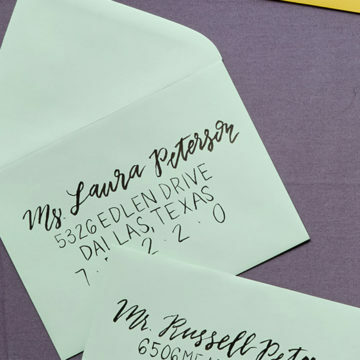 Meghan Markle has already wed her prince, but what if she asked a Dallas florist to create her bouquet? We can’t help but wonder. 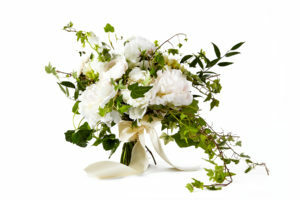 Here is what local wedding florists would have designed to send her down the aisle. 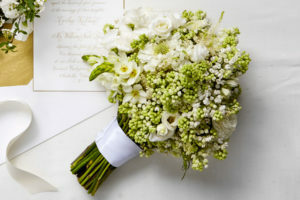 “Meghan’s bouquet was inspired by Kate Middleton’s wedding and style. 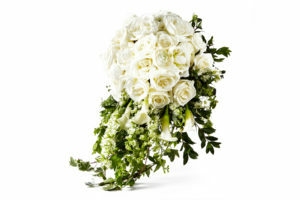 The clean, pavé design complements the elegance of the royal family.” —Nathan Johnson, GRO Floral and Event Design. 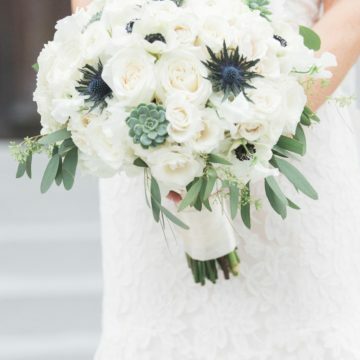 “I read that Meghan likes peonies, so we blended that with several smaller, daintier blooms to keep it petite, traditional, and slightly cascading.” —Cesar Diaz, Bella Flora of Dallas. 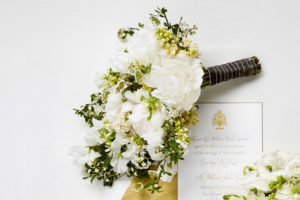 “We brought in elements of each royal bouquet as a reminder of the amazing role models Meghan has to guide her.” —Rexanne Foster, 316 Design Source. 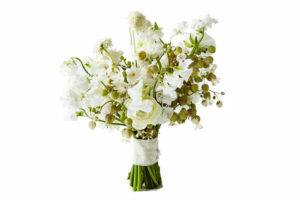 “We’d love to see her carry a classic, garden-style bouquet. 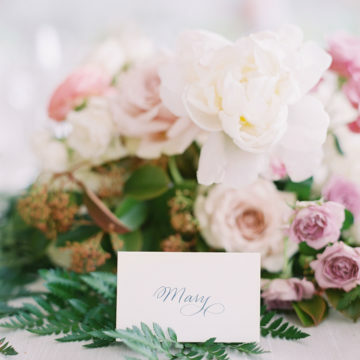 Adding a few stems of blush ranunculus freshen the palette, resulting in a light and airy look.” —Alexa Morton, Branching Out Events. 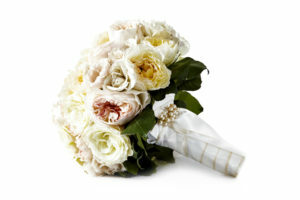 “This bouquet is classic and romantic with a nod to the British royal family traditions. The sapphire and crystal brooch is in honor of the late Princess Diana.” —Myranda Hausheer, Dr Delphinium. “I was inspired by the rose gardens around the castle. I used all garden roses to create texture and fullness, but added a hint of blush to keep it young and fresh.” —Todd Fiscus, Todd Events. 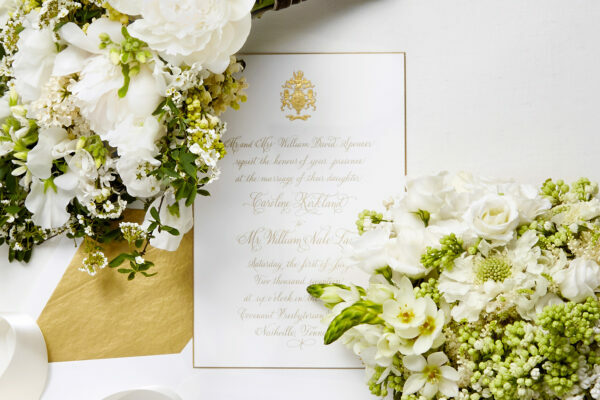 “Taking a nod from Kate Middleton’s understated yet elegant bouquet, I chose delicate blooms in traditional white, reminiscent of being picked straight from an English garden.” —Maxine Owens, The Southern Table. 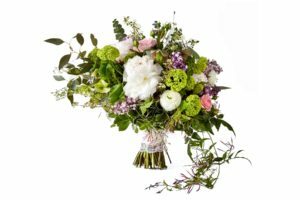 “We chose English garden roses, hellebores, lilac, viburnum, peonies, ranunculus, and bridal wreath designed in a loose garden-style that we believe would appeal to the modern royal bride.”—Taylor Pritchett, Lilium Floral Design. 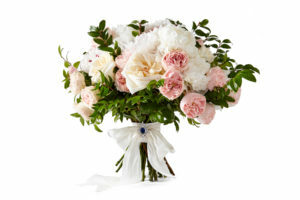 “Peonies are natively grown in England and are regarded as a symbol of good fortune and a happy marriage. 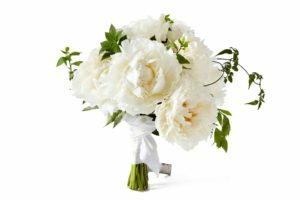 What could be more classic and timeless for the royal wedding than an all-white peony bouquet?” —Sara Fay Egan, Jackson Durham Events.